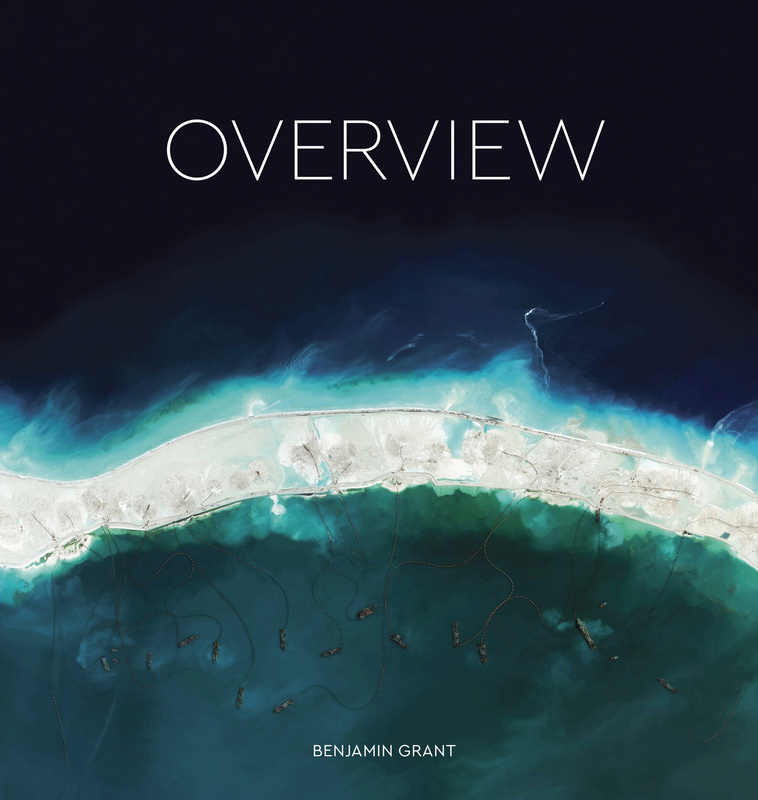 All Images reprinted with permission from Overview by Benjamin Grant, copyright (c) 2016. Published by Amphoto Books, a division of Penguin Random House, Inc. Images (c) 2016 by DigitalGlobe, Inc. This past weekend, thousands of people from around the world traveled to the desert in Nevada, USA to construct Black Rock City. 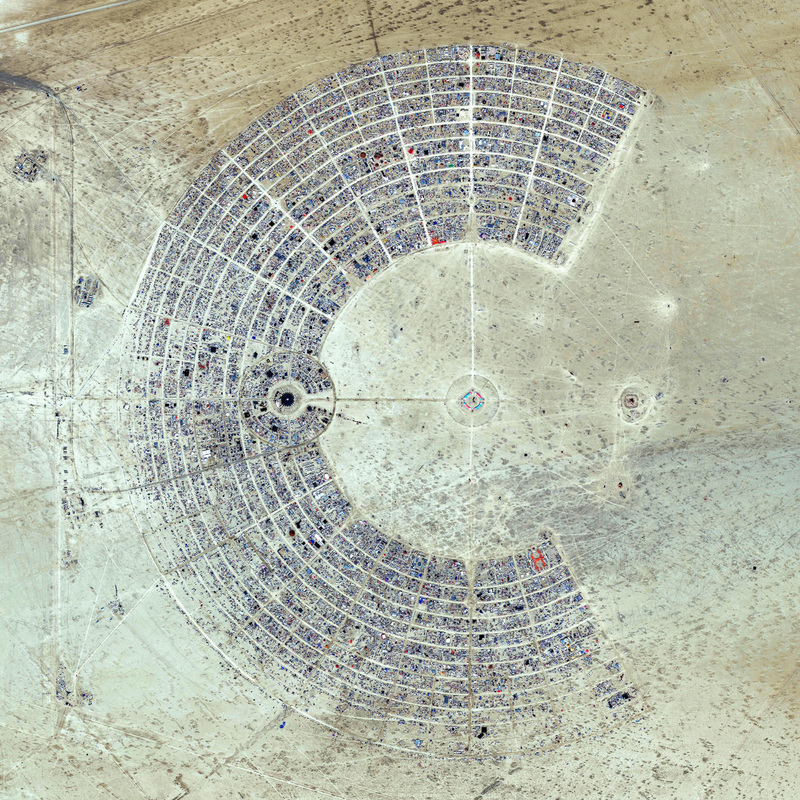 Laid out in a grid plan with radiating avenues named after the numbers on a clock, the city serves as home to roughly 60,000 people for Burning Man, an annual week-long event. Burning Man is described as an experiment in community, art, self-expression, and radical self-reliance. Additionally residents in Black Rock City practice one of the event's key principles of ‘Leave No Trace’ – meaning significant efforts are taken to make sure as the city is disassembled in the days following the festival, the desert returns to its original state. 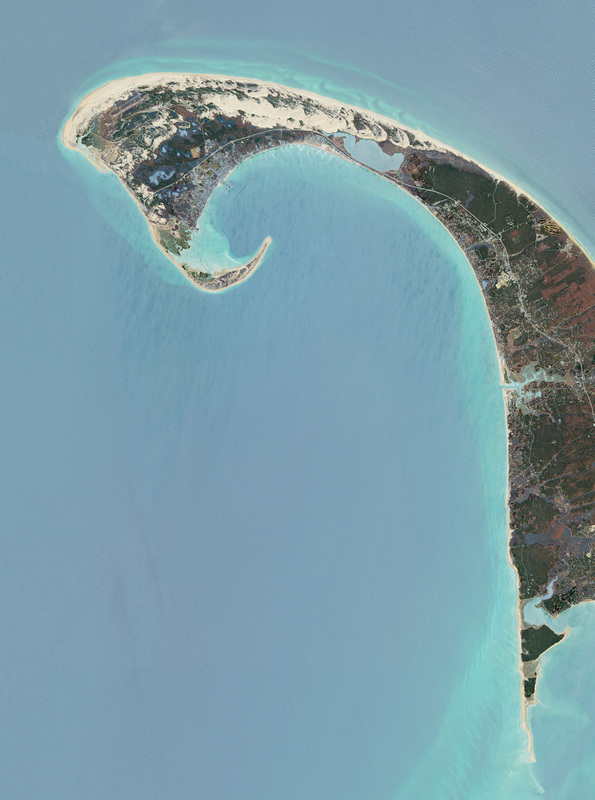 Cape Cod is a hook-shaped peninsula in southeastern Massachusetts, USA that extends into the Atlantic Ocean. The 15 towns on the cape are a popular summer destination with quaint villages, seafood shacks, lighthouses, and many beaches. The three towns at the northernmost tip of the cape - Wellfleet, Truro, and Provincetown - are visible in this Overview. 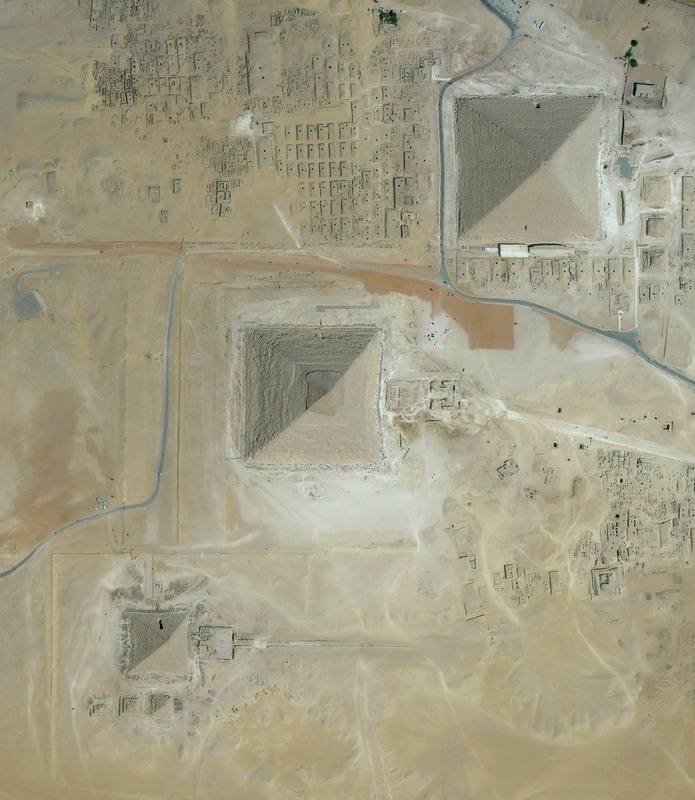 The Great Pyramids of Giza are located on the outskirts of Cairo, Egypt. Dating back to 2580 BC, the Great Pyramid, the largest structure at the site, is the oldest of the Seven Wonders of the Ancient world and the only one to remain largely intact. With an estimated 2,300,000 stone blocks weighing from 2 to 30 tons each, the 481 foot pyramid was the tallest structure in the world for more than 3,800 years. 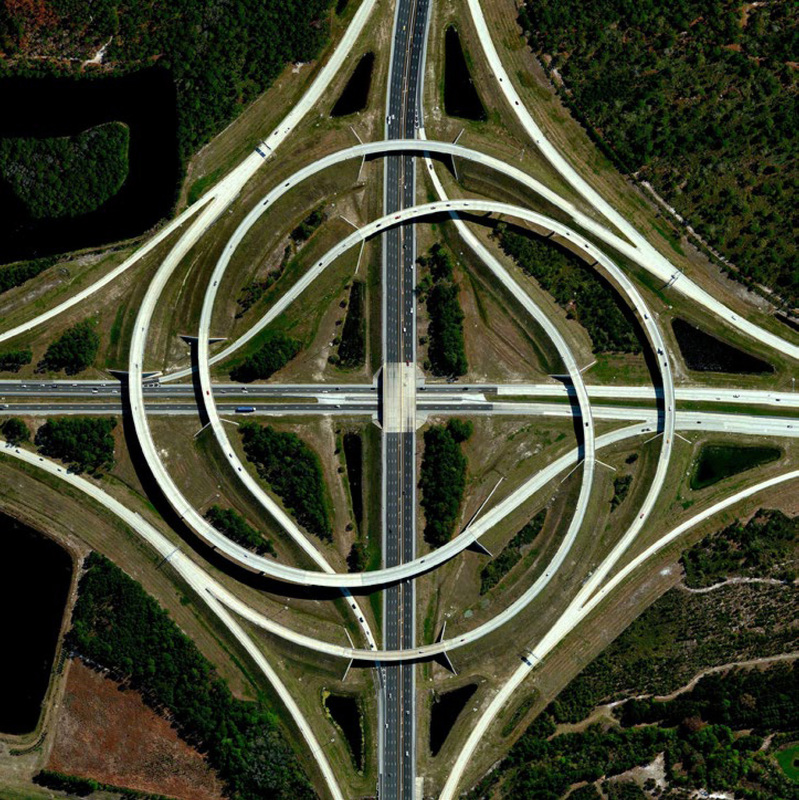 This photo captures the turbine interchange that connects the SR 9A and SR 202 in Jacksonville, Florida, USA. The structure consists of left-turning ramps sweeping around a center interchange, thereby creating a spiral pattern of right-hand traffic. 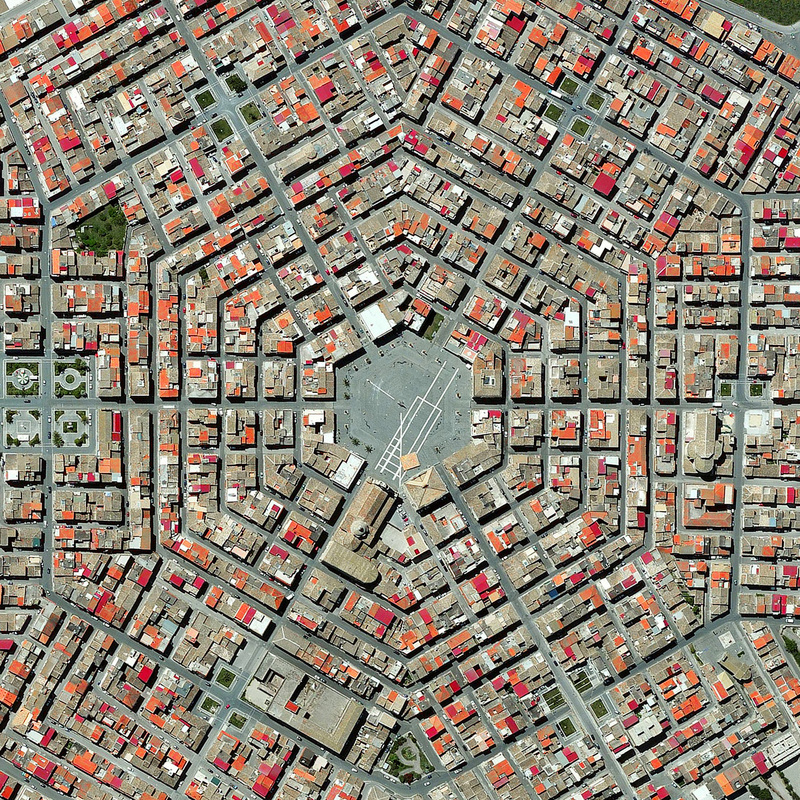 This type of junction is rarely built, due to the vast amount land that is required to construct the sweeping roads. 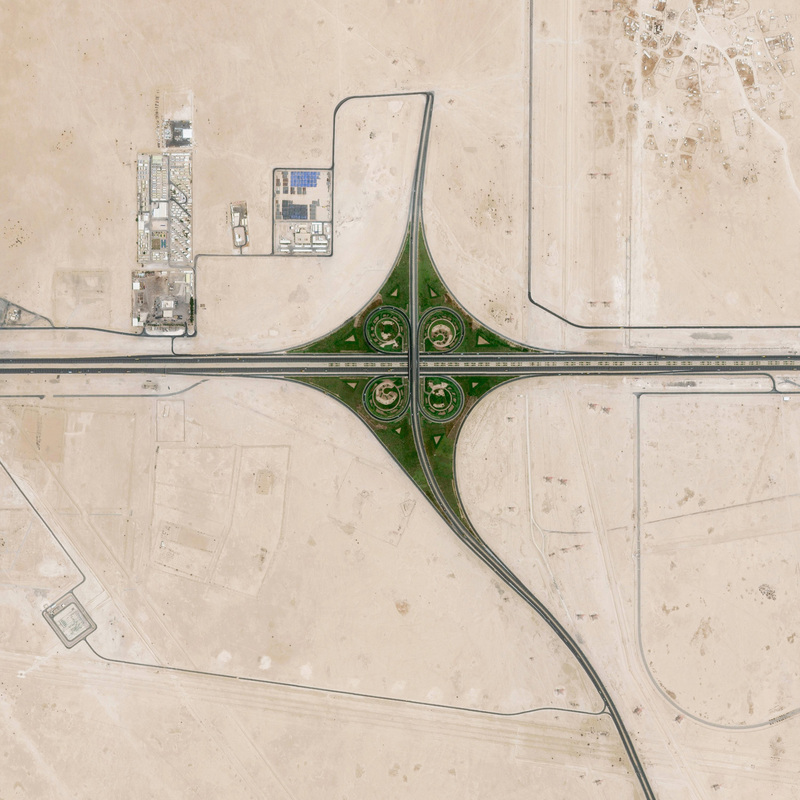 A cloverleaf interchange is constructed on the outskirts of Doha, Qatar. The objective of a cloverleaf is to allow two highways to cross without the need to stop traffic. 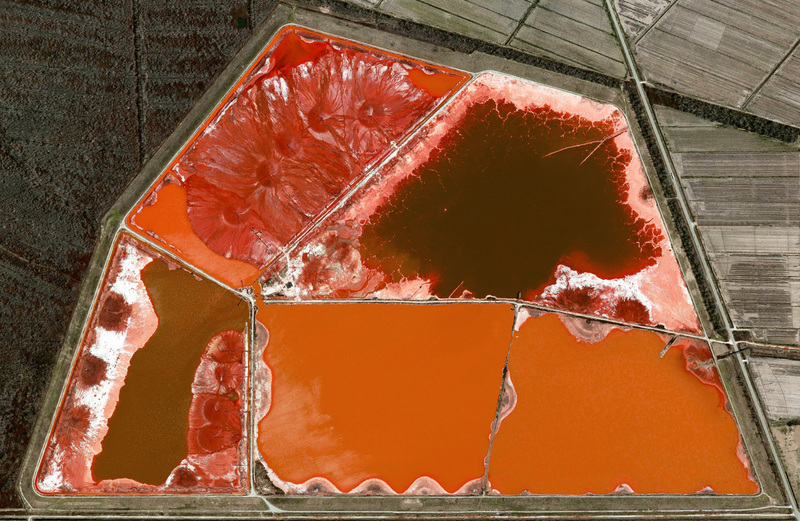 This image captures a red mud collection pond in Darrow, Louisiana, USA. Approximately 77 million tons of red mud, also known as red sludge, is generated every year due to the industrial production of aluminum around the world. 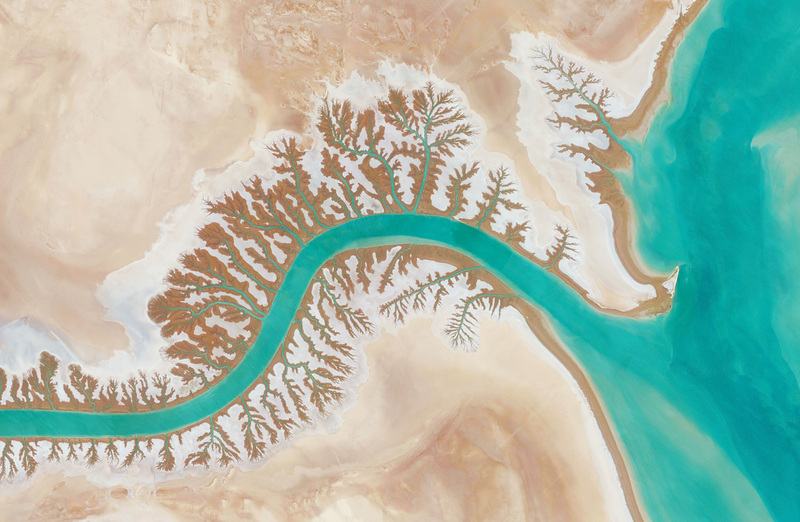 In the Shadegan Lagoon the dendritic drainage systems are visible by Musa Bay in Iran. The word ‘dendritic’ refers to the pools’ resemblance to the branches of a tree, and this pattern develops when streams move across relatively flat rocks or a surface that resists erosion. 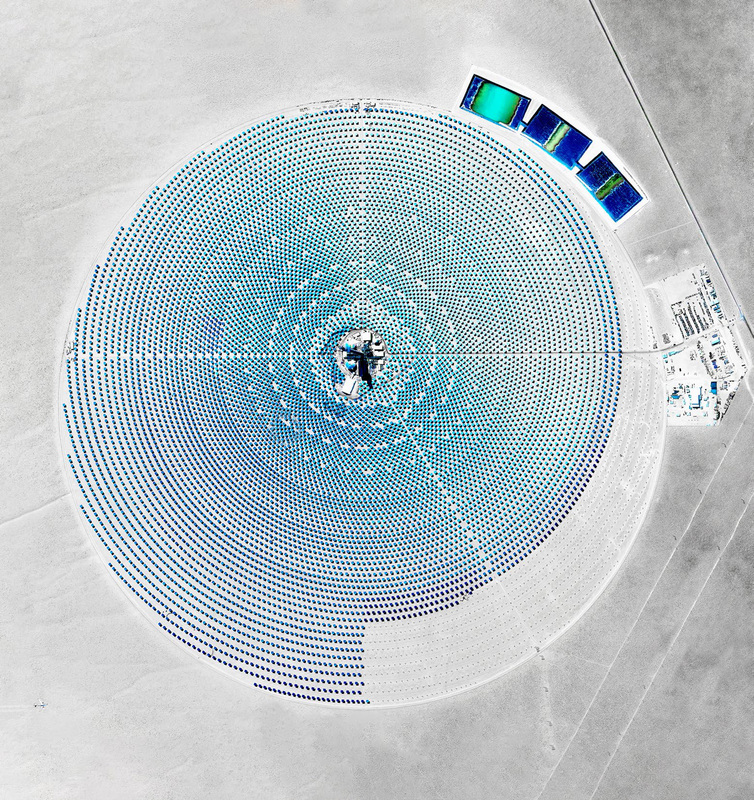 This image shows the Crescent Dunes Solar Energy Project in Tonopah, Nevada. The facility powers up to 75,000 homes during peak electricity periods. The project uses 17,500 heliostat mirrors to collect and focus the sun’s thermal energy to heat molten salt flowing through a 540-foot (160 m) tall solar power tower. The molten salt then circulates from the tower to a storage tank where it is used to produce steam and generate electricity. For a sense of scale, look closely at the lower left corner and you’ll notice a commercial airplane flying over the complex! 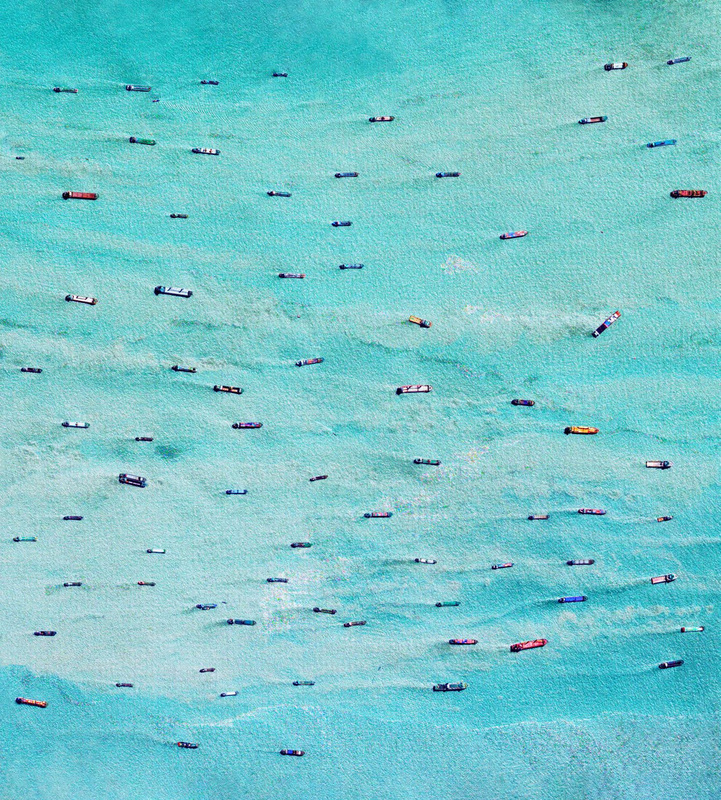 This a photo of cargo ships and tankers moving through Tanjung Perak, the main port in Surabaya, Indonesia. Expansion and dredging are currently underway here to deepen the waters to 16 meters (52.5 feet) and enable a larger generation of containers ships to pass through safely. The facility’s principal exports are sugar, tobacco, and coffee. 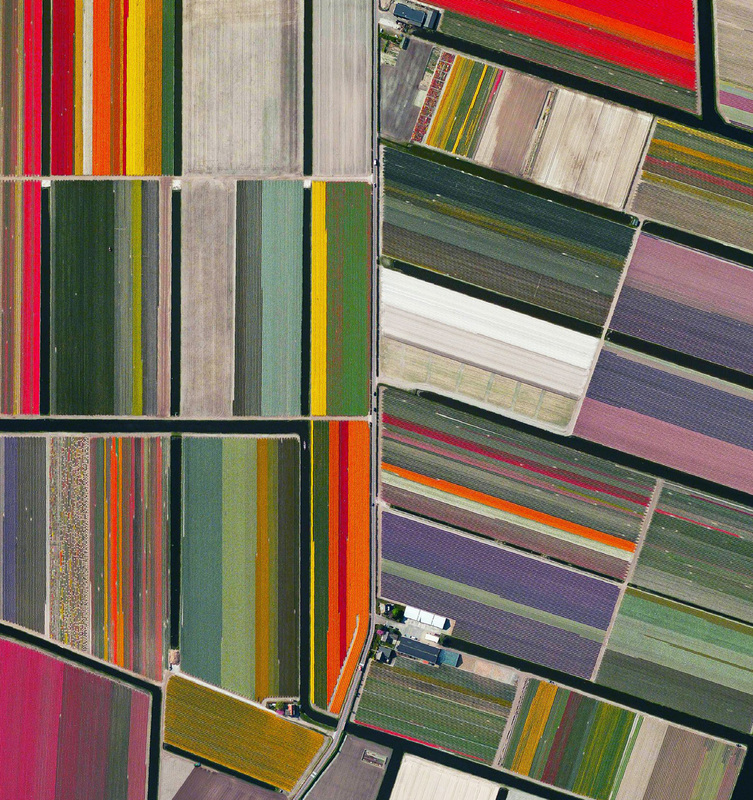 This photo captures the blooming tulip fields in Lisse, Netherlands. The flowers are in peak bloom in April of each year. The country produces 4.3 billion tulip bulbs annually. 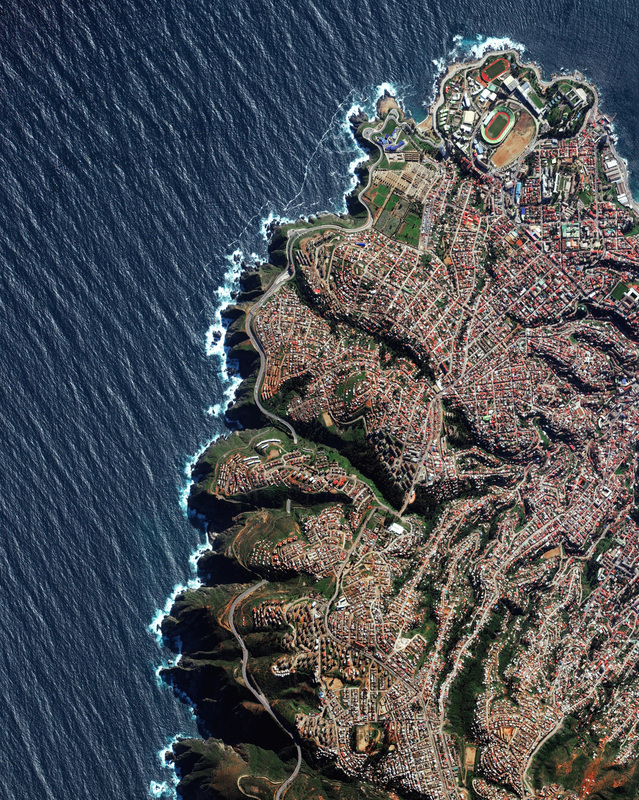 Valparaíso, Chile is built upon dozens of steep hillsides overlooking the Pacific Ocean. Known as “The Jewel of the Pacific,” the city is the sixth largest in the country and is home to approximately 285,000 residents. Valparaíso is also home to the country’s first public library, South America’s first volunteer fire department, and the world’s longest running Spanish language newspaper in continuous publication. For more stunning images pre-order the new Overview 288 page hardcover book.